Effective facilities management solutions for your business may be a way to not only cut costs but improve your company’s bottom line. Such solutions are used worldwide and provide companies with a way to better organize, schedule and manage maintenance tasks. Whether these solutions are local or cloud-based, facility management tools available to you represent a departure from the old way of meeting your ongoing maintenance needs. Here are at least three ways that affect facilities management software can be a financial boon for your company. These include the cost savings derived from the use of work order management software, how facilities management solutions increase efficiency and reduce redundancies, and, how the use of facility management tools can lead to more productive employees. In a 2014 Facility Management trend report published by the International Facility Management Association (IFMA), a take away from a prior year’s conference was the promotion of those programs and activities that drive productivity and efficiency. Where most facility management professionals understand those specific business areas that they control in commercial spaces, such as the reduction of costs through energy auditing, the IFMA concluded that greater influence can be exerted over all aspects of the management of a facility. The use of available technologies, such as work order management software, can help you move beyond the implementation of myopic costs reduction strategies and toward more substantial cost savings techniques. The bottom line for you comes by ways in which facilities management software provides measurable savings. 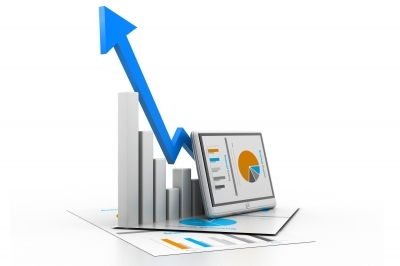 Automated solutions contribute to increasing revenue, a decrease in costs associated with the management of properties, plants, and equipment (PPE), a decrease in the insurance costs needed to cover risks by coordinating monitoring activities and reducing safety breaches, and helping improve your shareholder’s values and stock price. The use of facility management tools can allow you to be more efficient in the management of your facilities. Whether work is performed in a one or multiple facilities, a centralized software solution is your key in scheduling necessary maintenance work remotely, saving the time and cost associated with traveling between locations. This means your company’s facilities management team can be more efficient in performing their duties and contribute to your overall costs savings. Towers Watson, a global advisory firm, found that four in 10 employees felt highly engaged while nearly a quarter felt disengaged in its 2014 Global Workforce Study. The IFMA concluded that a direct relationship exists between facility operations and the satisfaction of your employees, through such activities as sustainability initiatives and building controls. Better lighting, cleaner facilities, improved air flow and quality means employees that are sick less and on the job more. Facilities management solutions that you employ for your business can go along way of lowering the disengagement of your employees. The Towers Watson report went on to further claim that in those companies with effective sustainable engagement processes, which may be achieved through facilities management tools, employee engagement was at nearly three quarters (72%). A look at effective facilities management solutions for your company may be what is necessary for improvements in efficiency, productivity, and your bottom line. Improve your facility management and discover all the ways it can build your bottom line with help from FASTTAC. Our cutting-edge facility management software provides tech level collaboration within your company to help keep everyone organized and efficient. Stop wasting time on the worksite and request your live demo of the facility management software from FASTTAC today! Overseeing the maintenance and management of a facility or production operation can be a challenging task, as you would expect. The arrival of computerized facilities management software has transformed the face of facilities management and enhanced the overall performance of maintenance departments both small and large. With the help of the right software, facility managers can fulfill the potential of their operations. When a maintenance unit is unorganized, it can be hard for maintenance supervisors to locate the parts needed. A CMMS system makes it possible for maintenance administrators to keep track of assets that ought to be taken care of and setup the automatic re-ordering of parts, to make sure they have the appropriate spare parts available and can conduct repairs easily. A CMMS also informs you precisely where the parts needed are stored, which means you don’t squander any time browsing through storerooms. Using software for routine maintenance and facilities administration removes the need for clipboards and paperwork since the software can be setup to record information automatically. 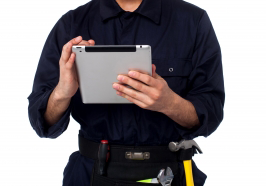 In addition, maintenance staff can see all information linked to work orders/tasks on their mobile devices or computers. Therefore, maintenance experts don’t need to search through filing cabinets and folders to obtain the information needed. Maintenance software may be hooked to mobile gadgets making it possible for maintenance technicians to gain access to real-time data, check inventory, and kick-off work orders without going back to the workplace. This cuts down their journey time. Facilities management software also offers maintenance technicians with information about the processes, tools and parts necessary to accomplish a job; hence they can work without interruption or delay. Downtime is expensive with regards to both revenue loss and damage to a firm’s reputation and brand. When you concentrate on planned, precautionary maintenance, equipment down time is lessened. Due to the fact a facility management system allows you to routinely maintain assets and structures, they’re less vulnerable to breaking down, meaning that maintenance costs are also decreased. Maintenance and facilities administration systems must frequently abide by national and global regulatory requirements. All maintenance administrators face occasional random or audits inspections by regulatory authorities. Maintenance software enables you to prove regulatory conformity and decrease the amount of paperwork and preparation that is needed for an audit. Maintenance administrators can simply create reports showing the maintenance work done on essential machinery. This makes conformity traceable and minimizes the risk of non-compliance penalties. Computerized facilities management software helps businesses in regularly maintaining and checking equipment and achieving safety standards to avoid critical malfunction and failures. This reduces the loss of work-time because of mishaps and makes your tools safer both for workers and for the environment. Computerized facilities management software can trim overtime considerably by decreasing the need for emergency repairs and maintenance. By scheduling maintenance, repair staff can work more effectively and efficiently. The cost benefits that companies gain with the implementation of facilities software can be astonishing, but it’s crucial to pick a CMMS with the appropriate functionality by working with the right company to enhance your ROI (return on investment). 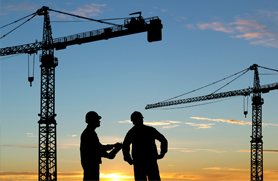 A seasoned vendor can give you the support you want today as your facility operation evolves. At FASTTAC, we have a long background of helping facilities managers accomplish their goals. To figure out more about our services and products, please call us today to schedule your live demo and discover how FASTTAC can keep everyone on the same page. Everything is going digital these days, and digital facility management solutions are getting larger and more accessible every day. Digitized facility management is safer and more secure in many ways than traditional facility management solutions. Going digital with maintenance management software means everything from better asset tracking to improved employee management. Since problems are solved and information is stored digitally, you have access to constant updates whenever and at the location where they’re needed most. Determining whether an employee is in today or there is an emergency maintenance issue at the other end of the facility, information must be instantly available to you. You don’t have to be confined to your offices to have access to your facility information, thereby freeing up more of your time for and permitting you to move about the facility to take care of more pressing matters and keeping an eye out for potential problems that may arise later. Modern building facility management is about having access to the most up-to-date resources available to accomplish much more in much less time. Processes that used to be a chore are resolved in real time and are easier than ever to track. Tracking, assigning priority and monitoring maintenance requests becomes much easier. And that means ‘random requests’ that end up tying up staff can be taken out of the equation altogether. Your maintenance team can focus on the most pressing issues, and you can assign solutions more quickly than ever. Using modern facility management tools means that you can get more done in less time, more efficiently making use of your team. Since you’ll have access to everything from inventory control to asset management, you won’t have to delegate team time to make sure you have what you need and that you’re not suffering from potential losses. With digital facility management, reporting puts all of that power right at your fingertips. You can pull up reporting for every aspect of facility maintenance and get real-time data to use in making decisions as to how to delegate information – as well as create collaborative effort within your team and across departments. Work orders are a breeze to add from anywhere, meaning layers of bureaucracy are instantly eliminated. If you’re new to digital facility management, there’s a whole new world available to you based around making your tasks easier, more efficient, and ultimately giving you more control as a facility manager. With everything from employee tracking to work order completion reporting, almost every aspect of modern facility management means that you know what’s going on as it’s happening, and you are in control of the situation. In the end, better control of your facility is what it’s all about, and switching to a digital solution makes it easier than ever. Give your team fast access to all of your facility’s plan drawings, maintenance tasks and more with the facility management software from FASTTAC. With FASTTAC, staying in control of all your facility’s documents, drawings and operation manuals has never been easier. Our fast and easy solution to facility management helps you cut costs and stop wasting time for your team with tech level collaboration. Stop wasting time and money on the job, find a better solution and request a demo of FASTTAC’s facility management software today. Even with superior attention to detail, managing the maintenance within a large facility can be greatly improved with the use of facility management software. This software eliminates the need for a paper trail, and improves everything from organization to communication. Below are just a handful of ways in which maintenance management software can help to improve the maintenance and repair workflow within your building. You are sure to have seasonal checklists in place to stay on top of your preventative maintenance. While these checklists work, software will make your seasonal schedule easier to organize, update, and adhere to. Facility management software will send you reminders regarding upcoming maintenance deadlines, and even past due maintenance and repairs. Since some seasonal tasks are estimates dependent on factors such as weather or volume of business, the software makes it easy to update your seasonal checklist in real time. Facility management software is a solution that will help to improve communication-related to your day-to-day operations. It allows you to create and assign tasks lists for your team, and allows you to quickly and easily view the progress of each maintenance concern. You can even access the software when you are offsite, and provide real-time updates to anyone on your team who has access to the software. And there’s no need for a traditional work station, since the software can be accessed on either a desktop or an iPad. Maintenance management software is not only beneficial for your current operations, but its in-depth reporting features allow you to identify patterns that play a vital role in creating your long-term maintenance management plan. This includes factors such as keeping an eye on the life cycle of tools and machinery, trends in both standard and seasonal inventory, and identifying when it is time for more efficient and effective maintenance solutions. These reports are also a precious resource to any new facility managers and team members that you bring on board. 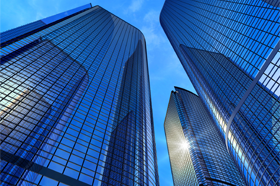 Facility management software offers you many cost-saving benefits. For starters, more efficient and effective daily and seasonal operations will help to reduce the likelihood of emergency repairs. The software can also be customized to identify risk factors that can lead to an increased need for maintenance. It will reduce the likelihood of human error that can lead to costly repairs, and you can turn to the software to search for areas of opportunity in your maintenance budget. The software will eliminate the need for paper orders, and will streamline your daily operations—meaning that more time can be invested performing your much-needed maintenance, instead of tracking and managing them. As mentioned above, electronic facility management solutions allow you to create reports that are ideal for long-term projections and assessments—but the reports can also be customized for your weekly, monthly, and quarterly needs. This allows you to quickly identify any new patterns or trends within your facility. Last but not least, maintenance management software is designed to be intuitive, and easy for you and your team to put in place. After only a few projects you and your team will have the hang of it. Revolutionize the way you access your facility’s information with the building facility management software from FASTTAC. Our innovative software enables your team to easily access and organize all of your facility’s institutional knowledge. So stop wasting time searching for the information you need, and start accessing all of your facility’s data when you need it most with help from FASTTAC. As a facility manager, efficiency can be your greatest asset –given your plethora of responsibilities and immovable deadlines. One of the more robust ways of keeping up to speed with your day-to-day activities is through the use of maintenance management software. Successful implementation of work order management software sees huge returns on investment, as well as simply better results for your business overall. Follow along as we explore just a small sample of the ways facility managers are using work order management software to revolutionize their facility’s information and lessen their workload. In any work order load, one of the biggest wrenches in any process is the lack of availability of essential parts. Not only can a work order management software suite make sure that parts are never unavailable during business hours, but it can also keep tabs on your general inventory. For example, if the manufacturer has come up with an upgrade, your software will notify you right away. Additionally, it can provide you with a well-ordered storehouse free from under-stocking and over-stocking – and the associated cost of either. Sometimes, during an especially robust season, your business can get backed up – it’s one of the costs of being successful. Management software is exceptional at prioritizing your palette and ordering the most pressing matters first – while scheduling reasonable time slots for the others based on your set preferences. Schedule automation is one of the biggest time savers in this same vein, such that employees, outsourced work and contractors are juggled in an optimal fashion. The included analytics also helps you gauge employee performance and better streamline business goals. 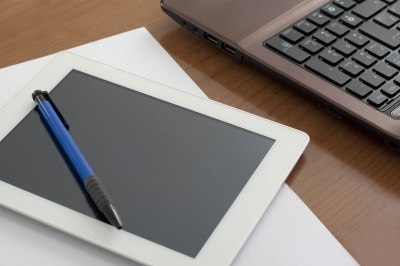 The breakdown of equipment represents another major contribution to inefficiency in business. Work order management software can drastically reduce the occurrence of emergency breakdowns by overseeing a regular maintenance schedule and ensuring that machines are working at maximum efficiency. This schedule includes everything from lubrication to calibration, which of course extends the operational lifetime of the equipment, as well. Just as importantly, a metric called the life-to-dollars date is accounted for, so you can decide at what point it’s more cost-effective to replace a machine than to keep repairing it. 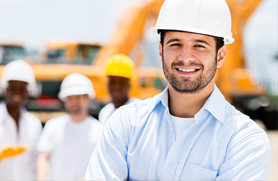 Any labor-associated costs that you can think of, capable maintenance management software can handle them. 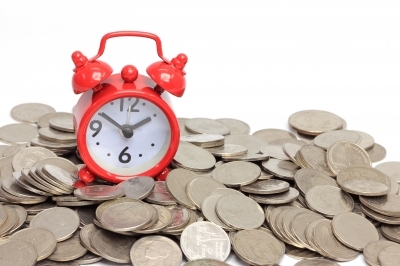 Is overtime killing your budget? Simply use the software to make the workload and staffing levels more efficient to match expectations. And when you combine this ability with the priority tracking properties, the end result is a cost-saving optimization of your enterprise – without any compromise in efficiency. Indeed; businesses usually make more money, produce better product, and have a more streamlined operation once work order management software is implemented. From ensuring the availability of the right parts when needed – well ahead of time, in fact – management software from FASTTAC can only be a boom to your business. It allows you to supply your employees with the critical information at the location where it is needed to efficiently complete work order tasks and support other crucial business operations. Production delays and losses will all but disappear, as overtime diminishes and your business becomes, effectively, a well-oiled machine. Request a demo of FASTTAC’s facility management software today, and discover how we can help your team stay on the same page. Think about what Facility managers have at their disposal today, paper drawings rolled up and in “cubbies” or laid flat in large drawers. Add to that the countless binders with manual after manual of motors, fans, pumps, panels, motor control centers, and the list goes on ad nauseam. These are typically kept in a locked room where they cannot be lost, accessed nor updated…but they are there! This facility information is located where it is not needed and needed where it is not located! Technicians need access to relevant information to complete their assignments at their work locations; it must be the latest and must be accurate. Over the years, this equipment is updated, control modifications are made, outlets are added, walls are built and demolished, and adjustments are made to solve a problems and nothing is documented. However, when a technician is assigned to solve the next problem, the modifications previously made (which had not been documented) are now in jeopardy of being broken again by the next solution. This costs facility managers significant money and inconveniences their customers. When digital information is available from the start, a technician could have had all pertinent information available “as designed” at the work site and could have documented all modifications made to the original design for the solution. In addition, any technician that follows would benefit from this documented “institutional knowledge”. Now this next technician is working with full information and not just partial information so that any prior solutions are not broken by subsequent solutions. This saves both time and money. Some may say, of course the second technician will be able to perform better with information provided by the first technician. However, the only way to actually accomplish this is to have a digital information plan. Traditional information storage and access solutions cannot solve this problem because neither technician would have been permitted to take non digital information to a work site nor would they be permitted to “markup” the paper. Remember that digital information cannot be lost, destroyed, or misplaced! It can be updated remotely, modified with markups, and kept current by the technicians that use it every day. A good digital system will be able to be used by an average technologically savvy technician; it would be able to provide the tools necessary to easily markup the electronic drawing thereby recording institutional knowledge. Also at the same time that same digital system must protect the content from any permanent markings. All in all, digital information will improve the service provided by facility managers and in the end, reduce their overall costs. Taking on the responsibility of building facility management is a highly demanding, and also highly rewarding position. It is a role that requires you to have industry insight, mechanical expertise and business acumen – but there’s more. Developing or building upon the five skills below, will help you improve the efficiency and effectiveness of your daily operations. While it is fair to say that superior communication skills are required in any management position, the ability to provide clear, specific and timely communication is a must for all building facility management professionals. In fact, poor communication can result in costly mistakes and a multitude of safety and security concerns. While all facility managers must have the mechanical knowledge required to effectively manage their school, hospital or building, they must also be technologically savvy from an electronics standpoint. Not only are more and more facility management solutions electronically automated, but understanding the crucial role facilities management software plays in your success is essential. Facilities management software will help you to identify areas of opportunity, to stay organized and can even be customized for your specific needs. To be successful in building facility management, you must be both proactive and action oriented. Proactive enough that you are able to troubleshoot and identify areas of opportunity above and beyond what your facilities management software suggests. Action oriented in that you must be able to quickly identify the best solutions for the inevitable emergency and unforeseen situations that might arise. This could include your response to in-house mistakes, mechanical failure, power outages, or weather related emergencies. You must also be able to reevaluate your facility management solutions on at least a quarterly basis, with the intent of evaluating compliance and searching for more effective solutions. Whether your team is large or small, working in building facility management requires you to learn how to motivate your team to get their job done. 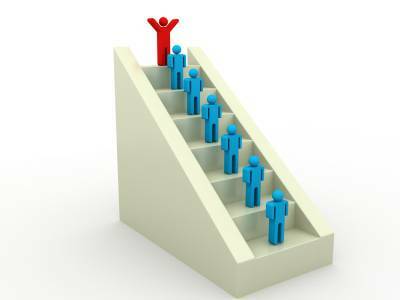 There are many ways to motivate your team, a few of which include: recognizing a job well-done, communication clearly, ensuring your team has what they need to succeed, and providing the appropriate ongoing and recurrent training. If all that’s not enough, you must also have the business acumen required to be fiscally responsible. This means that you must be able to accurately project your spending, to stay on budget, and to renegotiate vendor contracts in a matter that help you meet or beat budget for the line items you are responsible for. This means you must also invest time in exploring new short-term and long-term cost-saving solutions. Building facility management is the ideal position for anyone with the traits above, who also enjoys a job that will present them with a multitude of daily challenges. While challenges will always arise, successfully managing each challenge—and implementing the changes required to reduce the likelihood of the same challenge in the future is highly rewarding. Make sure your building’s facilities management is prepared to handle the present and the future with help from FASTTAC. Our facilities management software solutions keep all of your documents where you need them, allowing you to easily store and save all of your building’s information to keep your team on the same page. Discover what how the facility management solutions from FASTTAC can help you build your business and request your demo today! Facilities range in age from just constructed to the completion of the pyramids! Many studies around indicate that the time it takes to perform maintenance and repair on facilities is as much as 33% longer per repair due to the lack of access to information about these repairs. Much of the time the information is available, just not accessible, and some of the time the information is just not available. You have two things to consider with this information; first, if it is the former, how do you permit “rank and file” to have simple access to it, and if it is the latter, how do you capture it so that you have it and can find it the next time it is needed. We will address the first consideration in this writing. Most facilities departments have received at the conclusion of each project completed specific drawings, documents, Operations and Maintenance manuals and various and sundry product information about the installation just completed. In the past, it came in rolls of paper and in boxes upon boxes of files. Today it can still come in this paper format as well as on CDs and DVDs, portable drives, in proprietary electronic formats that require many different types of programs to access, shared FTP sites and the list goes on. Also, most facilities departments have a “place” where this physical and digital information is stored for safe keeping. The larger the facility, the larger and more complex the storage place can be. A complication of this is when the facility also has a bit of age, not quite the pyramids, but sometimes going back 50 to 100 years. The most important thing to do with this information is, make it available to rank and file so that you can begin to attack the problem that is currently consuming 25% to 35% of your facilities budget! Balancing the “keep it safe” and “make it available” is the challenge. Most times facilities departments err on the keep it safe instead of making it available. You must make drawings and O&M manuals available to rank and file to reduces this time which consumes 35% of your personnel maintenance budget…the question is…how? Having a place to store the files is not enough; you must make it “bullet proof” to protect the images from accidental acts of overwriting by competent technology users, malicious acts of disgruntled workers and random actions by your technology challenged users. Now that you have decided to do something to make available the hundreds, most likely thousands and very likely, hundreds of thousands of pieces of facility information…the question is…what? It is like eating the proverbial elephant, one bite at a time. Consistent organization of facility information across all of your facilities whether handling content or in the capture of user inputs that keep that content current will make it valuable immediately and into the future. Focus on these considerations will bring about the answer that is right for you. https://fasttac.com/wp-content/uploads/2016/10/2e1ax_rt_lexicon_entry_ID-100271969.jpg 266 400 admin https://fasttac.com/wp-content/uploads/2016/09/FASTTAC_Logo.png admin2015-10-10 03:19:462016-10-26 03:20:19Where is Your Data?